Since I’ve started teaching morning boot camps, I’ve had so many people tell me that they just can’t wake up that early. (“That” meaning early enough to attend a 5:30am Camp Gladiator Boot Camp. If you just shuddered at the thought of that, keep reading.) Well, I beg to differ, so I thought I’d put together a quick list of tips that will help you transform yourself into a “morning workout person.” And believe me when I say, this comes from the heart. I don’t necessarily “love” mornings, but I have taught myself how to become one of those morning people! I know what you’re thinking…”duh”…but there’s more to it than just setting one alarm. Set your alarm the night before with just enough time to eat something light*, grab what you need and head out the door. If you allow yourself more time than you need, you will likely hit snooze and potentially sleep through the workout. Then, set a back-up alarm for about 2 minutes after the first alarm, in case you accidentally hit “snooze.” Make sure it’s something “alarming”, pun intended so that it really wakes you up! Lastly, you can always set your alarm across the room from you, forcing you to actually get out of bed to turn it off. Once your out of bed, STAY out of bed! Don’t go back there! Before you hit the hay, lay out everything you need, so that you don’t have to overtax your already not fully functioning brain early in the morning. Set out what you’re going to wear and anything you need to bring with you. I even go so far as to put everything I need to remember to take with me (that I’m not actually wearing) in the car the night before so that I can’t forget to grab it. I set a banana out as well, and as soon as that alarm goes off, I drink a good 8 ounces of water, have my banana, then start getting ready. This way, by the time I arrive at my destination, my banana is digested and I’m ready to work out! The less you have to think in the morning, the better your chances are for getting out of the house successfully! Consistency is key here. If waking up early is difficult for you, try to do it as often as possible. You give yourself a better chance of being successful if you do it more often. Try to change your sleep schedule so that more days than not you are going to bed early and waking up early. If you try to wake up early one day, then sleep in the next, etc., your body will never get used to the schedule and it actually becomes much more taxing on your body. Even on days where you aren’t working out, try to wake up at a reasonable hour so that it makes it easy for your body to continue your new schedule. Also, give it 21-30 days. It takes 21 days to make or break a habit, so commit to waking up early and going to bed early for at least 3 weeks. And of course, be sure you are getting to bed early too. Insufficient sleep will not make you a happy camper when that alarm goes off! Do what you need to do to eat dinner earlier, bathe the kids earlier, etc. Misery loves company, so recruit a friend to join you in your morning workouts. Although at first you will likely be complaining to each other about how tired you are, soon you will realize that this partner in crime is actually your accountability partner, and is equally important to your success in becoming a morning camper. I highly recommend carpooling with your accountability partner. Knowing someone is coming to your house to pick you up is a huge motivator for getting out of bed and even more so if you’re the driver that day! You can’t bail on your partner! Enjoy the rest of the day thinking about how your workout is already completed, and the day is yours! Alternately, the guilt you feel when you miss your morning workout is extremely heavy—and even heavier if that’s your only opportunity to workout all day! *Note: Eating prior to the workout is important. If you are in the process of trying to become a morning camper, just get something light in you prior to the workout. Something like a banana, a Larabar, some oatmeal, etc. (full or half) are good, quick, light items that provide glucose for your brain and muscles to perform properly. Failing to eat prior to working out will leave you lightheaded and not feeling well. Also, what does your body use for fuel if you haven’t eaten anything? You’re likely to break down muscle instead of building it. As your workouts progress and depending on your body, you will likely need to eat something more substantial. This post is just to give you ideas on how to start small and work your way up! Camp Gladiator in North Dallas! I am humbled, proud and excited to finally OFFICIALLY announce that I am one of the newest Primary Trainers with Camp Gladiator! Now that my location has been nailed down, I can give everyone all of the details you need to put this on your calendars, share with friends, family, loved ones and strangers and of course SHOW UP TO CAMP! I have been running boot camps for quite some time now, and I have to say, this opportunity is truly an amazing one! This company is filled with so many positive and influential people, I’m so excited to become part of this movement! I also couldn’t be happier to work for owner and American Gladiator Grand Champion, Ally Davidson. I met Ally several years ago, when we both took the same boxing boot camp class. She later went on to win American Gladiator, started CG here in Dallas then moved to Austin, and I went on to eventually teach that same boxing boot camp class (along with about a dozen others), move the ‘burbs, etc., so it’s truly awesome that our paths are crossing again. Now that I’ve moved to the suburbs of Dallas, I am so excited to be able to bring my knowledge, passion and enthusiasm to the Frisco/Plano community through CG! And it all starts next week! If you’ve taken classes of mine before, they’ve likely been in the downtown Dallas area. However, I’ve recently made the move to the suburbs where I know…no one! That’s where you come in. I desperately need your help spreading the word to the Frisco/Plano community that there is a new CG location in the area ready to take their health and fitness to the next level! If you have family, friends, coworkers, etc. in the North Dallas area, please share this post with them and let’s get them to attend my FREE Preview week happening Tuesday, 4/16 and Thursday 4/18 at 5:30am at the Sports Authority in Frisco! (Camp officially starts Tues 4/23). Camp Gladiator is the best outdoor fitness experience in the nation. No, seriously. It is a four week adult boot camp that provides a motivating and challenging environment for men and women of ALL ages and fitness levels to improve their physical and mental states. CG provides exercises to fit each individual camper, regardless of fitness level, experience or age. Campers can expect a total body workout that includes strength, cardiovascular, balance and functional training in the form of interval training, sprint and agility drills, plyometrics and more. CG is designed to increase your functional strength, speed, stamina as well as help you lose weight, tone muscle, burn fat, relieve stress and make friends! CG delivers results regardless of your goals! Check out this one of many inspiring videos! What is the deal? I’m glad you asked! If you bring 3 people to Preview Week, I will give you a FREE CAMP. Totally serious. A four week camp normally runs $170 for a new camper, but I’ll waive that entirely. All you need for camp is a mat, a set of dumbells, and a smile. Actually, you can come without the smile if you’d like—I know 5:30am is early—because I know you’ll leave with a smile regardless. 🙂 If you have questions, comments, concerns or just want to chat, you can reach me directly via cell at 214-794-3378 or via email at melissa@livewholebefree.com (my CG email is not quite set up yet). Let’s get as many people out to Preview Week as we can! I can’t wait to see all of you on Tuesday, April 16th! I Like How It Feels Video from campGladiator on Vimeo. 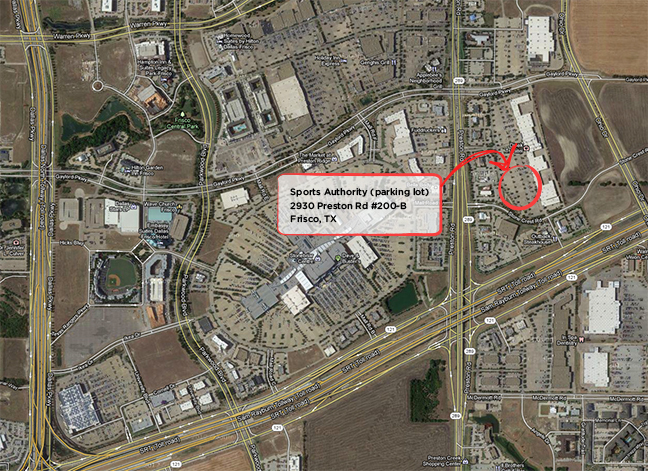 Sports Authority is on the East side of Preston Road just North of 121 (and just South of Gaylord). It’s very close to Buy Buy Baby, Office Depot, etc., in a strip mall set back off the road a bit. Go North (left) on Preston Rd. I’ve attached a quick map for your reference, since if you google Sports Authority it doesn’t put you in the exact correct spot. For more information you can visit Camp Gladiator online. Please note that this new location has not been added to the website just yet. See you April 16th, bright and early! Swivel kicks are one of my all-time favorite exercises. Although this exercise works your entire body, I love the focus it draws to your core, obliques, shoulder complex and glute muscles. The key to this exercise is to keep your hips “down”—as they are in the starting position—and to swivel your hips, pivoting on the ball of the foot that is on the ground. Start out in high plank position with your abs contracted by pulling your belly button in towards your spine. Your hips should be “down”—in between your shoulders and ankles—your body making a perfectly straight line. (No butts up in the air, no arching of the low back). Your wrists should be underneath your shoulders and your neck and spine should be neutral—concentrating your focus about a foot in front of your fingertips. Keeping the hips “down” (where they are in the start position), swivel your hips by pivoting on the ball/toes of your left foot. Kick your right leg outside of your left elbow so that the outside of your right foot is parallel to the ground. Hold here for two seconds. Be slow and controlled with your movements. Bring your right foot back to center, switch legs and repeat. Do 8-20* swivel kicks total, then rest. After 30 seconds – 1 minute of rest, repeat the set once more. *The amount of swivel kicks you are able to do in one set will vary on your fitness level. Be sure you keep your hips down and abs drawn in. (If you cannot keep proper form, you should discontinue this set and rest. Note how many kicks you did, then try to get at least that number or more in the second set). If you’ve been coming to Live Whole Be Free’s FREE Boot Camp at Klyde Warren Park in Dallas, you know that each week you have “homework.” Only being able to train most of you once a week makes it more difficult for you to make progress quickly. Therefore, I’ve elected to give out homework each week, consisting of one exercise that you do every day to help you get the most out of our time together. It also helps keep you in the fitness mindset, while strengthening and improving certain muscle groups each week. The homework isn’t overly difficult, in fact it’s set up so that no matter what your fitness level is, you are able to complete it. If you are just starting out, you will begin to build your foundation and if you’re in tip-top shape you will continue to work on your stabilization which is ALWAYS important, regardless of fitness level. It’s also not incredibly time-consuming. In fact, it takes less than 2 minutes a day, maximum. So let me ask you, have you been doing your homework? If the answer is no, why is that? Are you SO busy that you don’t have 1-2 minutes to spare each day? Probably not. And we’ve already covered that it’s something everyone can do regardless of fitness level, so…what gives? Truthfully, if your health and fitness is important to you, you will find the time to do these exercises. Those of you that employ my services for Personal Training know that you leave each session/week with 4-5 exercises that you are asked to complete daily and it’s really up to you to do them. You could lie to me and tell me that you’ve completed them when you have not, but what good would that do? You are coming to this boot camp or personally training with me to achieve a certain goal, so why sell yourself short? With that, the featured exercise (or “homework”) for this week is the side plank. It’s similar to a regular low or high plank, except—you guessed it—you’re on your side. This is a full-body exercise (my favorite kind!) that also really targets your obliques (waistline). Start by laying on your right side, right hip on the ground, in a straight line. Place your right forearm on the ground perpendicular to the rest of your body so that your right elbow is underneath your right shoulder. If you prefer to do the side plank up on your hand, place your right hand flat on the ground in front of you, underneath your right shoulder. Cross your left leg (top leg) over your right leg (bottom leg), anchor the sides of your feet to the ground, and lift your hips off the ground. Your body should form a straight line, with your hips in between your shoulders and ankles (if you were to draw a straight line from your head to your toes). Raise your left arm straight up in the air and hold for as long as you can on this side (shooting for 30 seconds – 1 minute), then switch sides. Repeat 1-2 times on each side. To progress this exercise to Level 2 in the photo, raise your left (top) leg in the air. Keep glutes/abs contracted and hold. If you cannot hold the contraction, lower the leg and stay at Level 1. If you attend LWBF Boot Camp, fill out the homework card you’ve been given with the amount of time you can hold each side plank. If you do not have a card, you can email/message me your times at the end of the week. Remember, for every day of homework you complete, you are awarded one point. Each time you attend boot camp, you are awarded one point. In one week, you can earn a maximum of 8 points. The person with the most points on December 31, 2012 will receive a FREE Nutritional Consultation by me! Let me know if you have questions! See you at 5:30pm on Monday for Boot Camp! Success for LWBF’s Boot Camp in the Park! I want to personally thank everyone that came out Monday night for LWBF’s inaugural Boot Camp at the new Klyde Warren Park in downtown Dallas! It was a huge success! For those of you who weren’t able to make it—not to worry—we will be there every Monday at 5:30pm! For those of you who did make it, how are you feeling today? Are you sore at all? During yesterday’s class, we did about half interval training and half stability/core work. In the upcoming weeks, this will shift more towards interval training as we increase the intensity of class. If you found yesterday’s class intense enough, don’t worry! As you saw, there are modifications for every exercise allowing people of all ages and fitness levels to participate. And for the elite athletes out there, we’ll also ensure class is tough enough for you! If you received one of LWBF’s gifts for being one of the first 20 to RSVP, let me know how you like your deodorant! I made the switch during the hottest part of the summer and never looked back. It works better than commercial, toxic products, and doesn’t contain harmful chemicals! Check out all the Tips and Tricks for the All-Natural Deodorant. I can’t wait to hear how it works for you! And if you’d like to purchase more (they make great stocking stuffers…) you can buy them online via Etsy. Lastly, don’t forget your homework for the week. One minute of push-ups, everyday.You’ve got your little notecard, so jot down your number, hold yourself accountable for your results. Next week, we will have different exercises and of course, different homework! So bring yourself, bring some friends, bring some strangers, bring everyone to Live Whole Be Free’s Boot Camp in the Park! Mondays, 5:30pm. Be there! Follow us on Facebook and Twitter for class updates and fitness/nutritional tips! 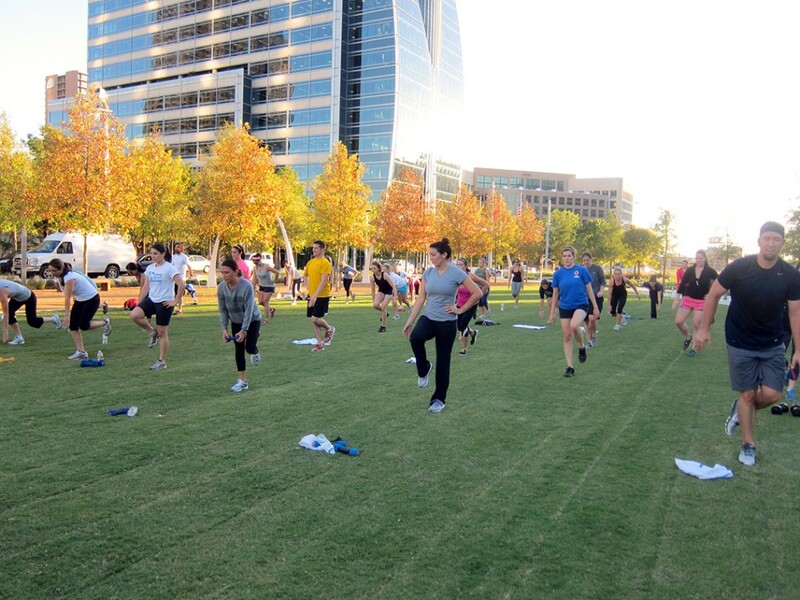 LWBF Boot Camp at Klyde Warren Park! I am so humbled and excited to announce this very exciting news. Biederman Redevelopment Ventures, the New York City consulting firm responsible for programming for the new Klyde Warren Park in Dallas, has asked me to teach boot camp classes at The Park coming this Fall! This park is unlike any other in the city of Dallas. 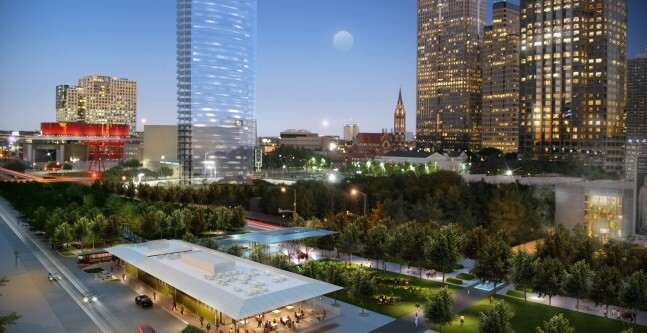 Spanning 5.2 acres in the heart of Dallas, Klyde Warren Park covers several city blocks between Pearl and St. Paul Streets over Woodall Rodgers Freeway. It includes a performance stage, restaurant (coming soon), shaded walking paths, dog park, children’s garden, great lawn (i.e. boot camp area), water features, an area for games and much more. I am so excited to have access to such a beautiful space bringing people together downtown! The Park’s programming is truly outstanding and includes music, fitness, education, games and art, with a constant stream of free daily activities open to the public, complemented by signature special events. There will be something for everyone at The Park, and I’m thrilled to be able to be a part of it! The free grand opening of the Park will be held on Saturday and Sunday, October 27th and 28th, followed by Live Whole Be Free’s first FREE Boot Camp class on Monday, October 29th (and every Monday after that) at 5:30pm! As far as what you can expect from LWBF’s Boot Camp—you can expect to get 60 minutes of “you” time that you will not regret! Those of you that have taken my classes for years know that I offer a fun and challenging workout regardless of your fitness level. I hope that you will join me every Monday at 5:30pm! This is an amazing opportunity to make a commitment to yourself and to your health/wellness without costing you a dime. It’s also a great way to support the City of Dallas and small businesses like myself. Although not required, participants are encouraged to bring a set of dumbbells in a weight appropriate for them as well as a small towel and some water. If you do not have dumbbells—not to worry—you can still participate in boot camp and you will still get a terrific workout! Read more about what you can expect at Boot Camp! * An RSVP for boot camp is not required but sure is helpful! It had been a really long day at the office. I was tired. It was late. I was hungry, grouchy and did I mention tired? It was 8:15pm, the sun was already setting and I just didn’t feel like running. I work out all the time, I’m going to work out tomorrow, I’m injured, I’m pregnant… No. I’m not really, I just wanted to see if you were paying attention. 🙂 Point is—I had a million reasons to justify why it would be okay to take the day off from working out. But I put my trusty Nikes on, grabbed my iPod and left. I ran into my husband outside. “What’s wrong” he asked. Me, with a frowny face acting like the world was ending, “I’m tired and I really don’t feel like running.” “Oh well,” he said. “You’ll feel better afterwards.” I knew he was right, after all, that’s why I had my darn shoes on even though all I really wanted to do was eat something and sit on the couch for a bit. So off I go on my run. About three minutes later, I had completely forgotten that I almost didn’t go. Even better, I figured I’d arrive home thinking “that wasn’t so bad.” Instead (as usual), I arrived home and thought “man, that was awesome.” I got a quick 2.5 miles in, finished with some pushups, bridges and planks, and called it a night. Although it’s a lot less than I normally do, I consider tonight a success. Tonight I got up and did something when I truly did not want to and had all the excuses in the world to slack off. I say it all the time, but sometimes the toughest part of a workout is actually getting off the couch or walking through the gym doors. Tonight, that was definitely the case. I never regret working out after I’m through and tonight was no different. I feel so much better now—my mind is reset, some calories have been burned and some toxins have been eliminated from my body. 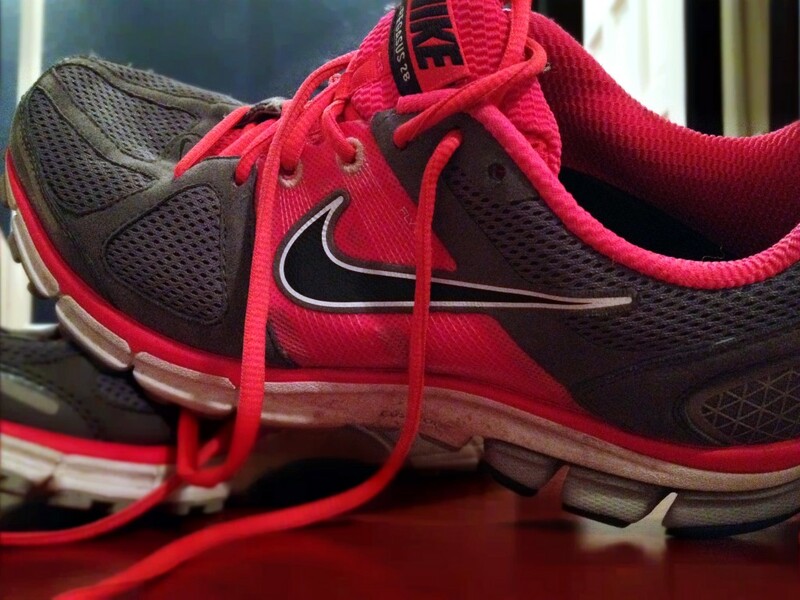 The next time you’re wavering about whether or not to workout, put your shoes on and just do it! This recipe is gluten-free, dairy-free, soy-free, vegetarian and vegan. I am so excited about these recovery snacks! Made with all-natural ingredients, these bites contain the necessary protein and carbohydrates required to increase recovery and protein synthesis post-workout. 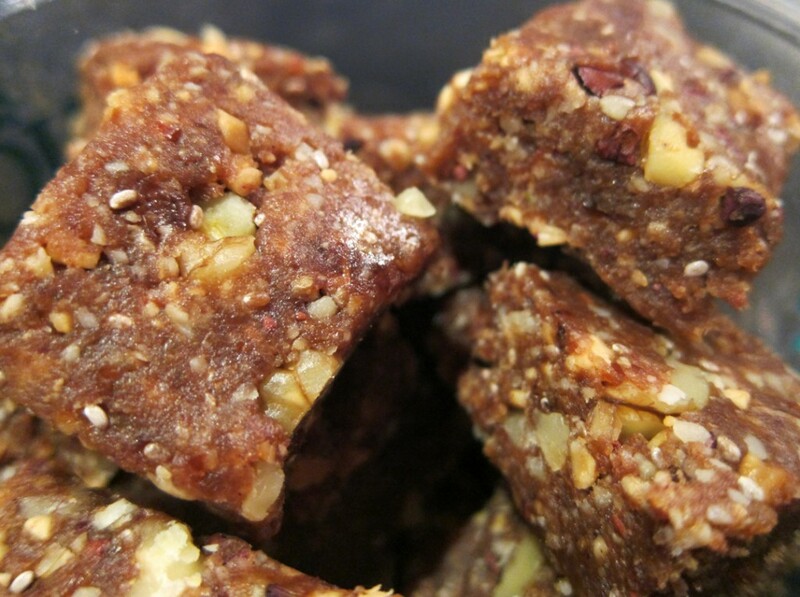 Be sure to ingest this snack within 90 minutes of a workout for maximum benefits. For best results, consume within 30 minutes of activity. Not only are these bites delicious, but cost-effective as well. What you would normally pay $3-4 per serving for at the store, you are paying less than $1 for by making your own. And you know EXACTLY what the ingredients are! 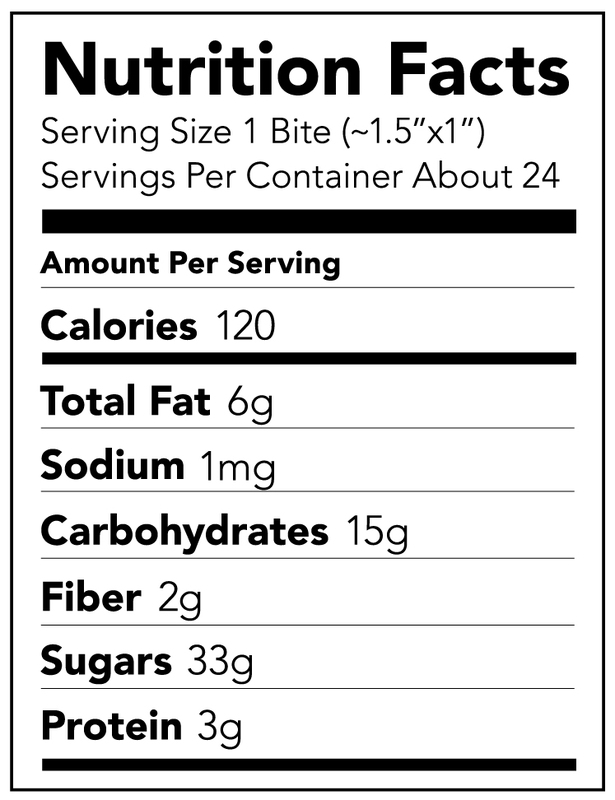 No unnecessary additives in these bites! Remove pits from dates, set aside. 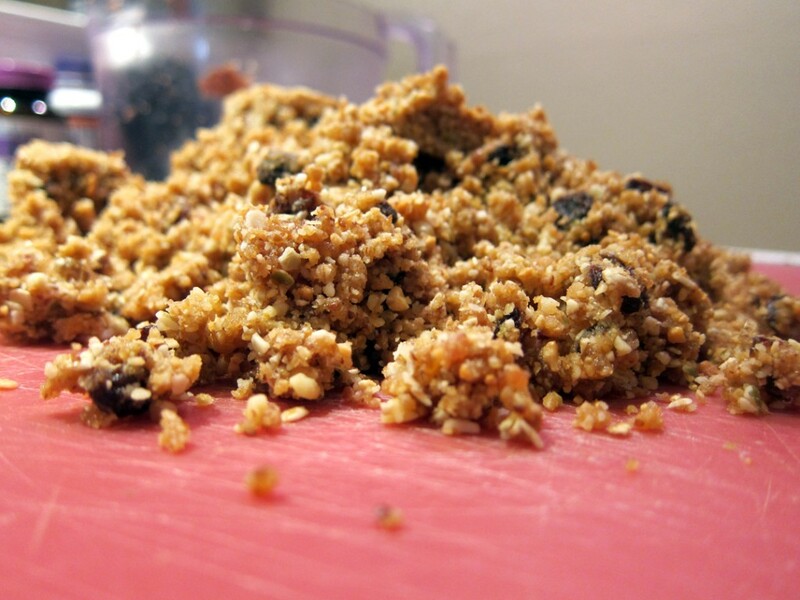 Add walnuts, oats, ground flaxseed, hemp protein powder and peanuts to food processor. Add dates to food processor two at a time, processing for only a few seconds each time. Try to avoid over-processing, as the mixture will become oily from the nuts. Add peanut butter, coconut oil and honey, process for for a few seconds until combined. Add coconut flakes, pumpkin seeds, sunflower seeds and raisins, process for a few seconds until combined. Feel free to mix by hand to avoid breaking the seeds. Test the mixture. Take ~1 Tbsp full of mixture and press it between your fingers. It should stick together nicely. If mixture seems dry, feel free to add in additional peanut butter, coconut oil or honey. If the mixture seems too wet, add in additional oats. Dump mixture from food processor onto cutting board and flatten by hand (or use wooden roller). Be sure to firmly press mixture into one large, flat slab. Cut the bites into desired size (~1.5″x1″) with pizza cutter or knife and store refrigerated in tupperware container. Wax paper can be used to separate layers of the bites inside the tupperware to keep them from sticking together while refrigerated, but is not essential. I hope you enjoy these recovery bites! They will keep in the refrigerator for about a week, but feel free to store them in the freezer as well! I prefer to eat them when they’re a bit softer, so I’ll take them out of the refrigerator a few hours before my workout. This leaves them at the perfect temperature for consumption after my evening activities. They also make a fabulous dessert! These PB Raisin Recovery Bites are rich in natural sugars, protein, fiber and omega 3s. Enjoy! And for a delicious pre-workout snack to load those glycogen stores, check out my Almond Coconut Raisin Energy Bars. Week #8 Challenge — Time to Exercise! *There are many different ways to “take your exercise up a notch.” I would say “increase the amount of exercise you currently do”, but some of you will be at your max for the days of week that you train. For some the increase will come by increasing the amount of days per week and for others, it will be the duration or intensity of the exercise itself. There are many other acute variables that can be adjusted as well, including volume, load, rest periods, etc. If you are currently solely doing cardiorespiratory training, adding strength training into your routine is another great way to shake things up. Since this challenge is so individualized, feel free to email me with questions on how you should safely take this to the next level. This challenge will obviously vary based on your current exercise regimen. Below are a few quick examples of what you can do to switch up your routine. As a Group Fitness Instructor, I highly recommend you try a Group Fitness (Group Exercise/GroupX) class. They can be intimidating at first, I understand that. I was intimidated as well. But just remember that everyone has had their first class, everyone has felt those same feelings. Take a risk, you may find that you really enjoy it. Worst case scenario is that it’s not your thing. If so, no big deal. If we all liked the same things, the world would be a terrible place to live. So embrace it, and try something else. SEDENTARY LIFESTYLE: So let’s say you are currently doing nothing for your body in terms of exercise and/or are currently under a doctor’s care. If this is the case, you will need to start VERY slowly. In fact, I recommend you get your doctor’s approval to engage in exercise. 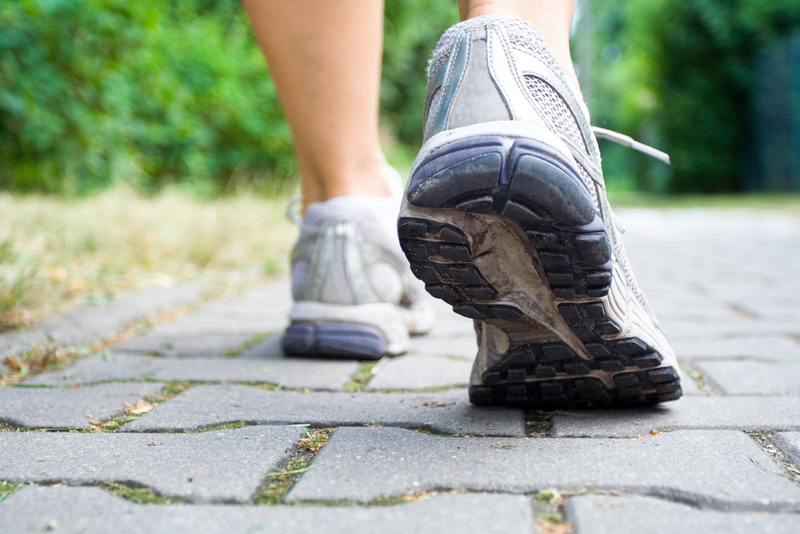 An easy way for someone living a sedentary lifestyle to start exercising is to simply go for a short walk. Any way you can move a little bit more during the day will go a long way for you. MODERATE EXERCISER: Let’s say your current workout regimen is a run or some sort of moderate exercise 2-3 times a week. I would encourage you to add strength training to that, twice a week, and possibly one more day of cardio. If you are a runner, try adding one day of exercise on the elliptical machine, which will provide you with some cardio exercise with less of a stress on your body. Maybe you don’t want to strength train. I could go on and on about the benefits of strength training, regardless if you want to change your muscles/body or not, but I’ll save that for another post. If you prefer not to lift weights, I would recommend you try some body weight exercises, like planks, push ups, bridges, etc. 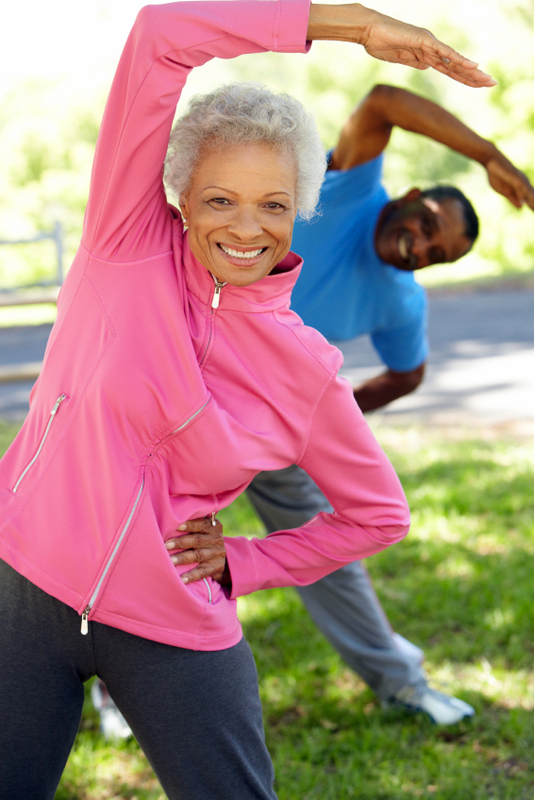 As a moderate exerciser, you are shooting for 4-5 days of exercise, up from 2-3. WORKOUT-A-HOLIC: Maybe you work out quite a bit, say… 4-6 times a week. I would encourage you to switch up what you are doing for the week. Try interval training for example? Tabata is a great way to torch calories fast, lose weight, retain lean muscle mass, and rev up that metabolism! Or if you always do interval training, try to go for a long walk or a run. Get some strength training in and try some new exercises. Or maybe you always work out in the evenings, try morning workouts this week. This is for the person who is in their groove as far as their workouts go. You never want to get too comfortable. Also, ensure you take at least one day off a week to rest and let your body recover. Hard workouts tear the body down, and you will need to let it recuperate, otherwise your body will being breaking down muscle, which of course is no good. One week is not nearly enough time to see a difference in switching up your workout routine, but it will be good to introduce yourself to new things. It takes 21 days to make/break a habit, so I highly recommend trying to switch it up for the next 21 days. You’ll truly be amazed at what comes out of it. Contact me for me current teaching schedule! If you are not a member at 24 Hour Fitness or Equinox, please let me know, and I will get you in on a guest pass! Whether you are an all-star athlete or live a sedentary lifestyle, we could all use a little more movement in our lives. In the last several decades, our technology has advanced so much that it has rendered us inactive and lazy. Here are seven ways to help increase your daily activity, burning more calories and helping put an end to the obesity epidemic. Take advantage of these opportunities as often as you can, and it will pay off in the long run! Opt for the staircase instead of an elevator or escalator all week (and longer if you’re really committed to a lifestyle change)! On your way to and from your place of business, take the stairs. At lunch or to get your energy level back up in the mid-afternoon, hit the stairs! Many of us experience that “2:30 feeling”… a way to combat that is to get your heart pumping! Every step counts, so quit waiting for the person in the closest spot to pull out. Just park and walk! By just finding a spot and walking, you will probably arrive at your destination at the same time you would have if you had waited for the closer spot! *Please exercise (no pun intended) caution when in dimly lit areas, at night, or when you’re alone. 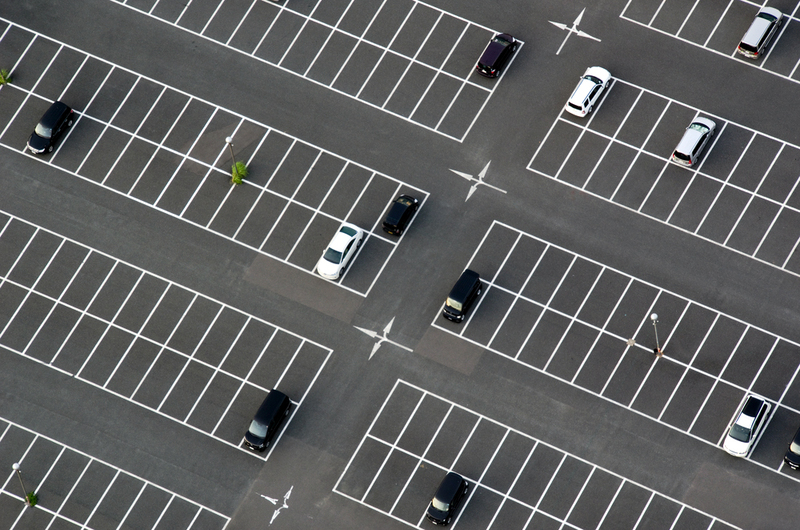 Use your best judgement and if you don’t feel safe parking far away, please don’t. Your safety is paramount. For those of you in big cities, put a personal ban on taking a cab and walk the distance instead. Ladies, if you’re in heels (which are terrible for your body, by the way), bring a pair of sneakers with you, throw them on and get moving! 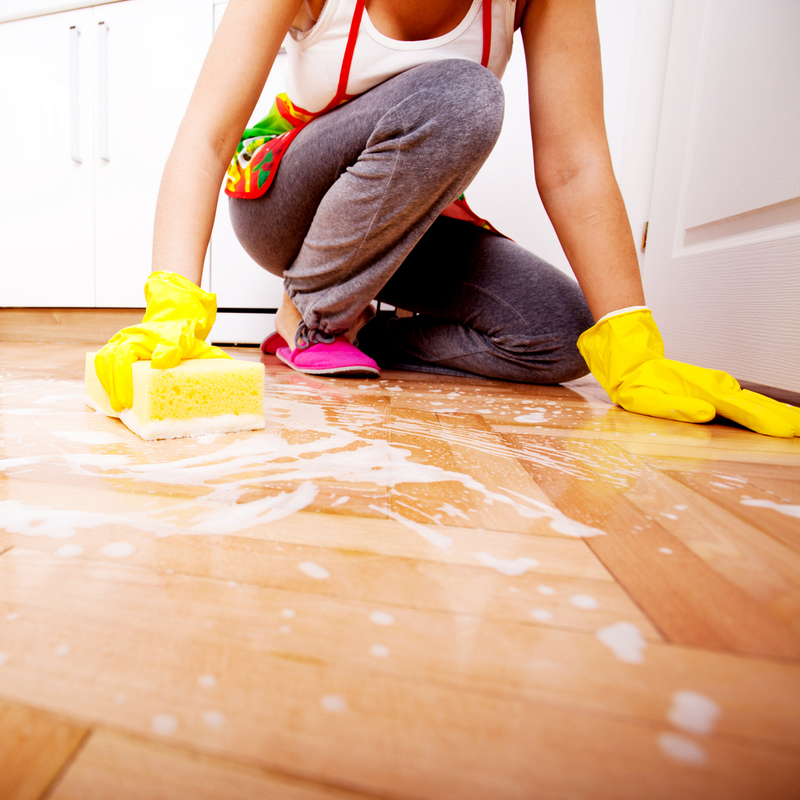 You’ll be amazed the amount of calories you can burn by cleaning your own house, andthere’s that whole “saving money” concept again, ditch the housekeeper! Same goes for the outdoors — use a push mower to mow your own lawn, rake the leaves by hand, shovel snow by hand and garden. After dinner, instead of having dessert or plopping yourself down on the couch, go for a walk. Whether it’s by yourself, with your dog or with your family, just get up and move! It will aid in digestion as well! Bonus! You can also go for a stroll during your lunch break! 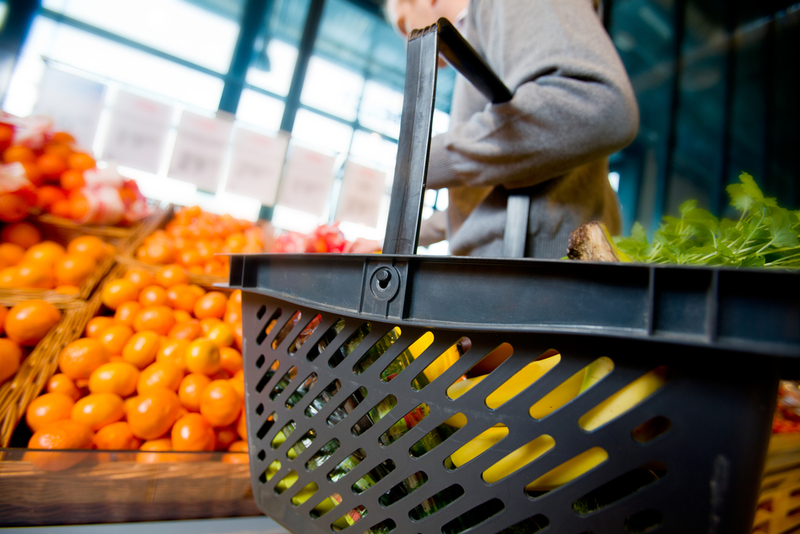 Use a hand basket instead of the pushable shopping cart. You’ll get a nice workout from carrying your items through the store and possibly even save some money by only buying what you need, or will fit into your basket. And of course, carry your bags to the car. Keep in mind that every little thing you do, no matter how small it might seem, will help get you towards your goal of a healthier lifestyle! Instead of thinking about the immediate gratification of the calorie burn (or lack thereof), think more long-term. I recently calculated how many calories I burn when I take the stairs to and from my office on the fifth floor. Going up and down five flights of stairs burns about 12 calories. Do it twice and you’re up around 25 calories, three times and you’re at close to 40-50 (calorie burn increases as heart rate increases). Although you’re only looking at about 50 calories for three flights of stairs, think long-term. In my time at HCK2 Partners, I have burned approximately 20,000 calories taking the stairs everyday… now that’s a lot of calories!